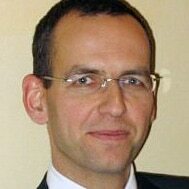 Pierre Combelles has been appointed as the GSMA‘s new business lead for NFC, replacing Nav Bains, who left to join Vivotech earlier this year. Combelles joins the GSMA from France Telecom-Orange group, where he was involved in multi-operator NFC projects as vice president of open innovations. “I am delighted to be joining the GSMA’s NFC program as we reach a unique turning point in delivering innovative NFC services to mobile subscribers across the globe,” says Combelles. “The work being done already in the NFC arena is showing us that this is a life-changing era in the history of mobile connectivity. Combelles will start work at the GSMA’s London headquarters on 1 November where he will work with James Heaphy, the GSMA’s NFC program director. Overall, the association now has more than twenty staff working on NFC.